Your client wants to see images from the shoot prontissimo. So you upload them to a Web gallery of some sort. And sure, they see them, but that's where the efficiencies stop and the miscommunication begins. The Turning Gate's CE3 Client Response Gallery is designed to stop the bleeding before it starts. The Turning Gate develops Web photo gallery templates, for Lightroom's Web module. And the Client Response Gallery is the company's latest plug-in. Instead of picking up the phone, the client clicks a checkbox for the keepers. The selections are sent to your email address as a simple list that can be used as a Lightroom filter to quickly select the preferred shots. Select. 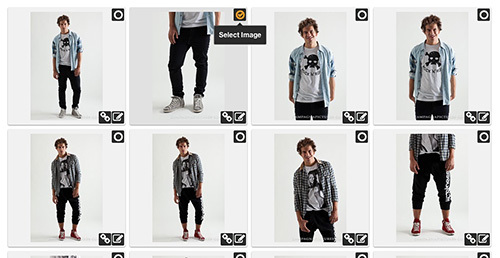 We've selected the second image, top row. Your client can also rate the images, comment on them and specify custom options like delivery instructions just by activating a feedback button in the bottom corner of any thumbnail. And all of that is emailed to you, too. Feedback. 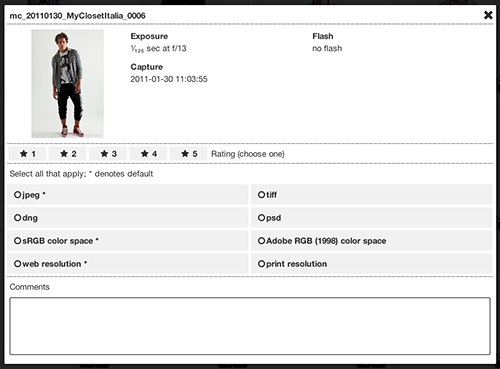 Some Exif data is displayed with rating and output options below. A comment field is also available. Client Response Gallery runs on your client's desktop, laptop, table and smartphone, including iOS and Android devices. Two demos, from which our screen shots are taken, are available to try out the features of the $25 plug-in.